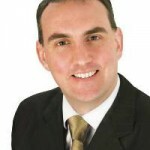 Fianna Fáil Seanad spokesperson on Health Marc Mac Sharry has accused the Government of discriminating against people with disabilities by failing to restore important support schemes, which were discontinued early last year. The Mobility Allowance and the Motorised Transport Grant were closed to new applicants in February 2013 with, he said, the Government promising that the supports would be replaced. Denouncing the government’s lack of progress on the issue, the failure, he said, was “a damning indictment of the importance it places on people with disabilities”. 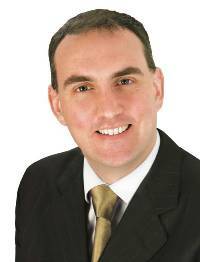 Senator MacSharry said people were “shocked and appalled when Fine Gael and Labour announced that these essential supports were being cut. Now it appears as if Ministers are content to allow some of the most vulnerable people in our society languish in limbo without any replacement scheme on the horizon. “Hundreds of people across the North West have been affected by the decision. It is completely unacceptable that people who have a difficulty getting from one place to another because of their condition have no support to turn to. He said that when the government dropped the supports, Minister Kathleen Lynch stated that steps would be taken to establish an alternative scheme. “I don’t see any justification for the Government cutting taxes for people on €70,000 and claiming they can’t afford to support people with disabilities. “This is about choices and Fine Gael and Labour have clearly decided that tax breaks for the well-off take precedence over payments for some of our most disadvantaged citizens”.